Dear readers, I fly to Japan tomorrow! I am going for two weeks with my mother, as part of a cultural exchange between my home town of Kelowna and Kasugai in Japan. Even though I have now checked into my flight and my bags are packed, I can still hardly believe it. I will tell you all about it when I get back. 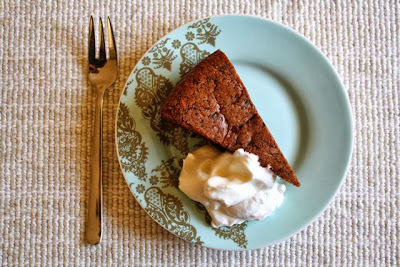 But in the meantime, I wanted to share this heavenly new cake recipe with you. My co-worker Portia shared it with me after everyone at work raved about it. They were right to rave. 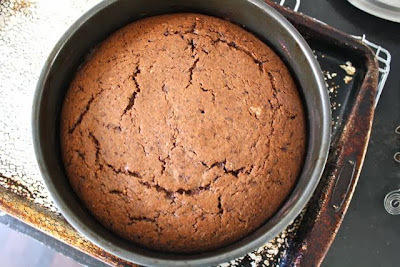 It's originally from Jamie Oliver, and it's kind of like a flourless chocolate cake with lots of nuts in it. 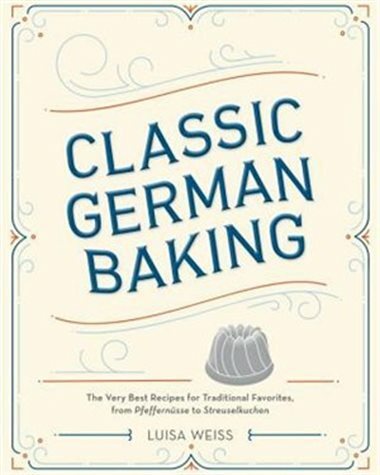 His original recipe calls for just almonds and walnuts, but I find it difficult not to add hazelnuts to chocolate – it's the German in me – so in they went. (I do believe you could stick with his original version of 150 g. walnuts and 150 g. almonds and also be quite happy). You whiz everything together in the food processor and end up with a thick but light batter from all those whipped egg whites. The batter bakes into a substantial cake that's moist and dense with nuts and rich with chocolate. And, of course, lovely with a dollop of hazelnut-scented whip cream on the side. Preheat the oven to 375 degrees Fahrenheit. Choose an 8 or 10-inch cake pan (preferably spring-form) and line the bottom with parchment paper. Then butter the bottom and sides, and dust with cocoa. Set it on a cookie sheet, in case a little bit of butter weeps out while it's baking. 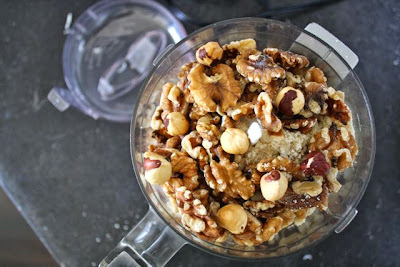 Put the nuts in a food processor and whiz until finely ground. Add the chocolate and cocoa, and whiz another 30 seconds to break the chocolate up. Spoon it out of the food processor and set aside. Beat the butter and sugar in the food processor until pale and fluffy. 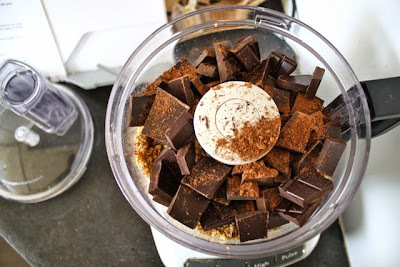 Add the egg yolks one at a time, then mix in the chocolate and nut mixture. Set aside in a separate, large bowl. In another bowl, beat the egg whites with a pinch of salt until they form stiff peaks. 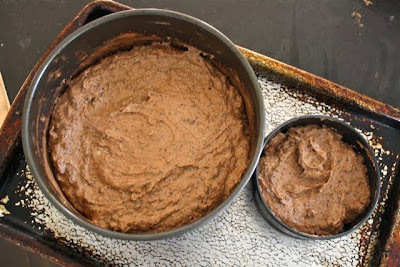 Gently fold the egg whites into the big bowl of chocolate-nut-butter mixture. Pour it all into the prepared pan. Bake about 40 – 45 minutes for an 8-inch pan, possibly 35 – 40 for a 10-inch pan. You want this cake to be moist, so trust your nose! You should also stick a cake pin tester into the cake for 5 seconds and have it come out clean when it's ready. 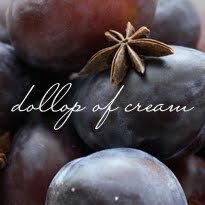 Beat the cream with the sugar and liqueur until it's puffy. Serve a big dollop with each slice of cake. * You might need to roast the hazelnuts to get much of their peels off if you can't buy them peeled. This sounds heavenly. I will definitely be making this!